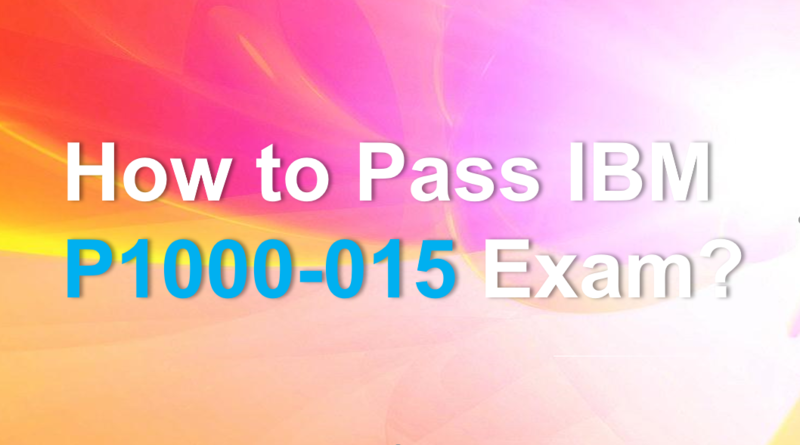 How to Pass IBM P1000-015 Exam? You are here :Home > Exam News > How to Pass IBM P1000-015 Exam? New IBM B2B Collaboration Solutions Technical Mastery v2 P1000-015 exam is available, which is a hot one of IBM certification exams. IBM certification P1000-015 exam validates core technical selling skills for B2B Collaboration solutions, within the Watson Customer Engagement platform. To earn associated Badge, you need to pass IBM P1000-015 exam successfully. How to pass IBM P1000-015 exam? There are 40 questions in real IBM B2B Collaboration Solutions Technical Mastery v2 P1000-015 exam. You have 60 minutes to complete the test. The required passing score of IBM P1000-015 exam is 70. The available languages are English and Japanese. IBM Certification P1000-015 exam topics cover the following sections: Solution Overview, Offering/Capabilities Overview, Key Buyers and Prospecting, Discovery and Qualification, Good and Poor Sales Opportunities, Pricing, Packaging and Deal Size, Competitive Landscape and How to deliver Client Presentations. We have released the latest IBM certification P1000-015 exam training questions, which contain 40 questions and answers. Our IBM P1000-015 training questions can guarantee you success in the first attempt. If you fail P1000-015 exam with our training questions, you can get full payment fee refund. Share some IBM P1000-015 training questions below. 1.What is the core functionality of PEM? 2.Which of the following is NOT considered a competitor for PEM? 3.Which B2B Collaboration solutions offering facilities the onboarding process and manages the partner community? 4.Which of these allows PEM to connect to multiple assets from a single repository? 5.Which two statements about PEM are correct? You can schedule IBM P1000-015 exam at Pearson VUE test center. When you take IBM B2B Collaboration Solutions Technical Mastery v2 P1000-015 exam, you can find our IBM certification P1000-015 exam training questions are valid and helpful.